Today we want to talk again, about the vast world of leather, especially about the Grades of leather. How many do you know? Now we explore 5 of them. The five different leather grades are broad generalizations, in reality, there are an infinite number of leather grades or at least the same number as there are tanneries in the world. What is full grain leather? It is a piece of leather that has the complete grain of the hide intact. On the contrary, all the other leather grades do not have the full grain intact. Full grain is the most durable and resistant to wear. In most cases, products made from full grain leather last longer than the others also because the full grain leather does not tear. The two common full grain leathers are vegetable tanned leather and distressed leather. 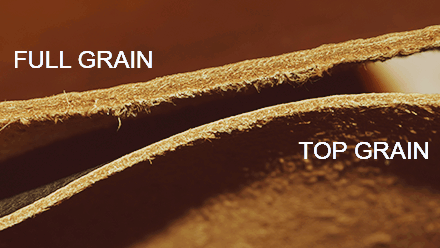 There is a very wide range of leathers that fall under the 'top grain' umbrella. Second on the list, and the second-highest quality, top-grain leather has the split layer with imperfections taken away, making it thinner and more workable for the manufacturer. This is the most common type of leather used in high-end products (like handbags). This leather has had its surface sanded and a finish applied, giving it a smooth feel. While this finish takes away most breathability, it prevents stains that would otherwise sink into full-grain leather. Suede has a signature napped surface from the underside of the skin. Technically suede is formed from split leather, which has had the top-grain rawhide removed to leave behind the drop split. This can be further divided, or sanded down to reach the appropriate thickness. There are a variety of techniques to create suede, but its signature is its textured feel. Although suede feels great, it’s less durable because its thinner and absorbs liquid quite easily due to its porous surface. Similar to suede but generally regarded as being more durable, nubuck. Genuine leather or Bonded is a made up marketing term used to deceive the general public. Genuine leather is the bottom of the barrel of leather grades. Marketers, like using the term Genuine Leather because products that usually are described as 'genuine' are regarded as valuable or of high quality. Genuine leather is made from the bottom cut. It still technically leather, it just doesn't have any of the grain and is heavily processed. 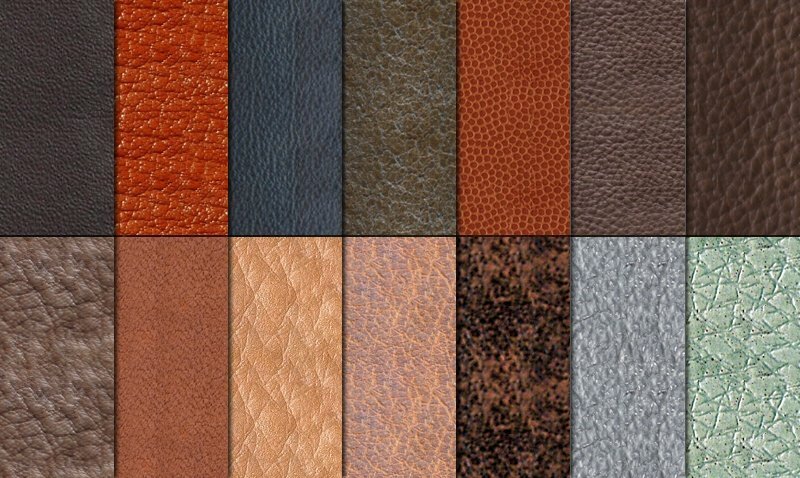 Bonded leather is a man-made material made by taking the scraps of leather and leftover leather fibers and bonding them together with various polymers and fillers to create something that appears like leather. This is very low quality leather and not durable at all. It is mainly used in cheap furniture or accessories manufacturing. So our advise is: don’t buy genuine leather to create your items if you want to get a professional look. Small tip for you: How to tell if Leather is Real? You can wave a lighter against real leather and the leather won't burn. Leather is quite resistant to fire. Obviously, don't hold it one spot for an extended period of time but if you wave it on a broad side of a wallet or a bag, it won't harm real leather.